Malayan carrier CSL model SPICE Mi410. Philippines carrier Cherry Mobile model A400 Magnum HD. It's a great phone, snappy as hell! And quick Adreno 205 graphic chip (it equipped with a "Scorpion" 8250 1ghz CPU). Hope it arrives soon in western carriers. This one looks exactly like CSL's Spice Slim Mi410. CSL is a Malaysian brand. The price is RM1,499(480 USD). I wonder who OEM for who. Ofc u don't know what are u talking about . Android os development is fast and good. And it is on much more devices then IOS . IOS has optimisation for positive side and no desktop no freedom like many other things for negativ side. This is why android 2.3 and 3.0 are much more advanced then IOS. Read more and investigate more for your facts because Android is better os then IOS in more ways then one and u can't compare Windows with linux but u should compare windows xp and 7 with MAC Os x. Which is better again windows. Linux isn't developed by one side like android os it is in fact developed in more versions than 2 so u can't compar it to other os. 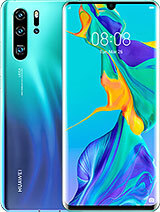 This is great phone so i m going to wiat til it comes to europe like altek leo. Anonymous, 11 Dec 2010Chinese companies yet to come of age when it comes to quality. Products do have a very thin li... moreTrue there are certain areas where Chinese companies have yet to mature. But this is mostly true with products built with manual labor (e.g. cars, clothes, coffee makers, etc.). But gadgets are built by machines (mostly western or Japanese). The "Chinese" component of production is simply watching the machines, calibrating them and resetting them when they get "stuck up". That's why most branded phones are built in China now. The beauty of Android as an Open OS is just that. It's "open". Otherwise, it won't come up against the iPhone OS so fast. Much like Linux did against Windows. Anonymous, 15 Dec 2010this phone is lokking fantastic...also ahve good features...prise will be cheaper than samsung... moreYes you are right. Compare with Samsung Nexus S, the features are almost the same. 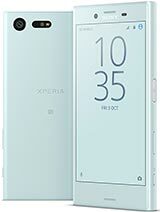 We have yet to see the pricing is half of Nexus well it sure is worth buying. RiceMonkey, 12 Dec 2010Impress with the Spects?...Your just kidding rite?for cheap price yes... i thk it was worth buying. today everything is made in asia: thailand and taiwan vietnam vietnam japan south korea china etc. so pls read more talk less. khairul, 12 Dec 2010most of Android phones version 2.2 (Froyo) does have those hot spot(tethering) function.. Do you mean to say all phones running OS Android 2.3 has hot spot(tethering) function. Well will check up on Nexus S and also on the price comparison. Since Ideos X5 and X6 will be launcing in 2011. Well it will be better off if it comes with Android 2.3 Gingerbread. 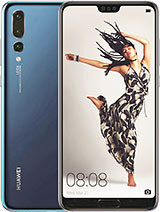 seemon, 12 Dec 2010I have bought Huawei Ideos about a week. I have been using window mobile OS for years and hav... moremost of Android phones version 2.2 (Froyo) does have those hot spot(tethering) function.. 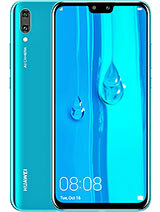 I have bought Huawei Ideos about a week. I have been using window mobile OS for years and have no problem adjusting to Android OS. Thanks for the many software engineers developing this OS for free. Well I shall say Ideos is a pretty good phone for its price which support many features as other branded phones in the market. 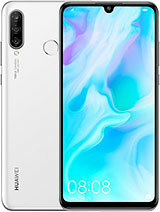 There is one feature that I cannot find in other branded phones that Ideos is having. Ideos under the wireless & networks has a feature named Tethering & Portable hotspot. Wow this feature is great, it is a walking wifi modem phone. 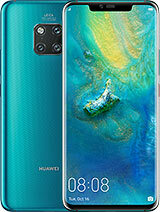 Well this is the only reason why I buy this Huawei Ideos. I share my internet access through my wifi modem phone with my friends and still I can receive incoming calls without internet disconnection. 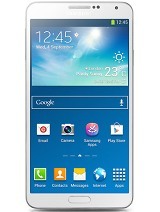 I hope Ideos X6 have the same feature and I shall definately trade in my Samsung Omnia II for this phone. ladze, 11 Dec 2010wowwwwwwwwwwww.. cant wait to own this.. good spec.. current using u8230 n im so impress wit t... moreImpress with the Spects?...Your just kidding rite?